Shots at the health center are available to students for free and to faculty or staff using insurance benefits. Flu vaccines have resumed at UCF Student Health Services for the upcoming season, which is following an unusually high year of cases. Each year up to 20 percent of the general U.S. population contracts the flu, said Crystal Colvenbach, coordinator of university relations and public affairs at the campus health center. 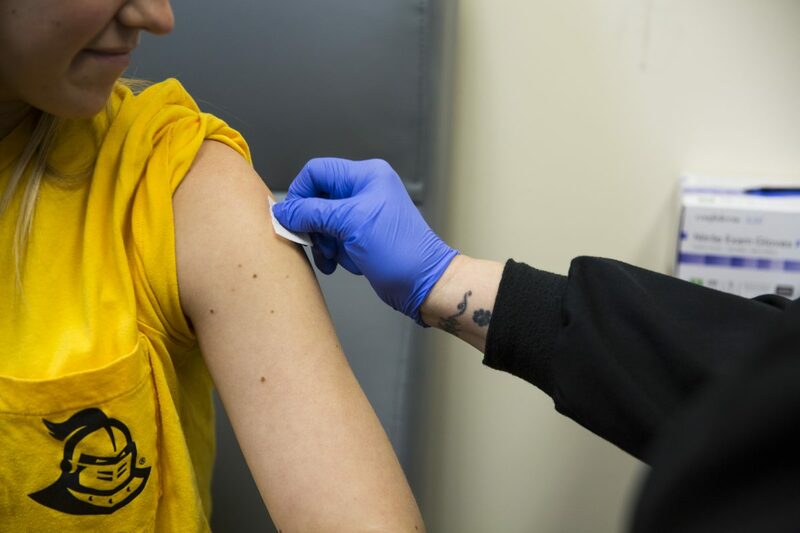 Student Health Services recommends all students, faculty and staff get a flu shot each season, except people who have had a severe reaction to an influenza vaccination in the past, are currently ill or have a history of Guillain-Barré syndrome. Shots at the health center are available to students for free and to faculty or staff using insurance benefits. There is no cash price at the center. The center is open 8:30 a.m. to 6 p.m. weekdays and 10 a.m. to 2 p.m. Saturdays. Students can walk in for a flu shot, or they and others can make an appointment by contacting the center at 407-823-2701 or StudentHealth.ucf.edu. The center also will be taking traveling flu shot clinics around the university through the fall term. The schedule is being developed now, so the staff recommends checking back on the website for times and locations. Last year the traveling clinics visited several spots including the Student Union, Recreation and Wellness Center, residential halls and regional campuses.